School is in full swing, and our afternoons are cram packed with homework and school projects. We rush home, eat a snack, and delve into my boys’ lessons (which involves me being 100% present and attentive since my boys are still emergent readers). Before I know it dinnertime is upon us, and I’m left scrambling around the kitchen trying to get something prepared before it’s time for the bath time/story time/bedtime routine to begin. 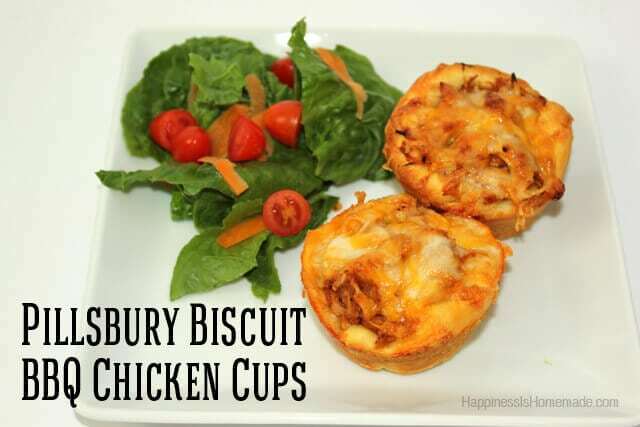 Fortunately, Pillsbury has a bunch of quick and easy recipes for busy parents, and I was excited to try their Barbecue Cup recipe because it looked like it would be a hit with all of my picky eaters. I started with a pack of refrigerated Grands! Flaky Layers Honey Butter biscuits, and I decided to change up their recipe just a bit to include shredded chicken instead of ground beef – simply based on personal preference. Did you know that you can shred chicken in your stand mixer? Just use the paddle attachment and turn the machine on the lowest setting for about 30 seconds to a minute. I can’t even tell you how much time this trick has saved me! 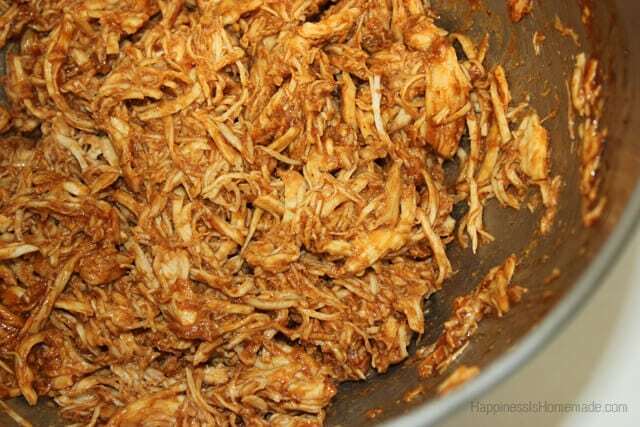 I like to toss a few chicken breasts and barbecue sauce into the crockpot in the morning, cook them on low all day, and then at dinnertime they’re ready to go. 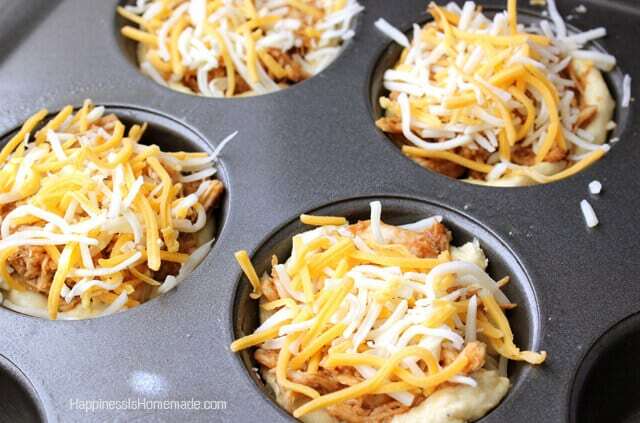 The assembly is easy as can be – tear a biscuit in half and flatten it, place it into a muffin tin, top with chicken and shredded cheese, and bake at 350 for 15-20 minutes. 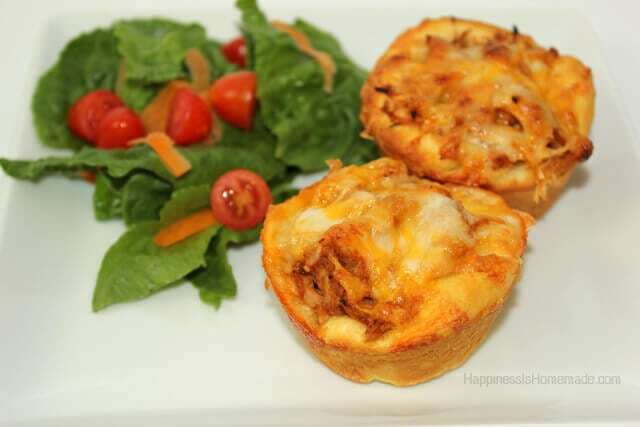 The original recipe calls for the cups to be baked at 375 for 13-15 minutes, but ours always come out better when I cook them a bit longer at a lower temp. Serve with a side salad, and dinner is done in a flash! 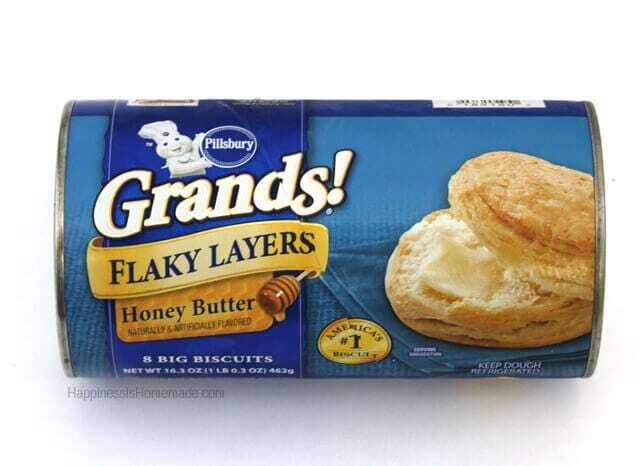 For even more recipes that are perfect for busy weeknights, check out the Pillsbury Grands! recipe booklet. Which recipe are you going to try first?